If the legendary power and muscular good looks of the Dodge family of vehicles make it hard to choose, start making your way through the lineup with a Dodge lease in Binghamton, New York, from Binghamton Chrysler Jeep Dodge Ram. A car lease makes it possible to drive your dream car with less money down and lower monthly auto payments than with a typical car loan. Chrysler Capital offers auto lease terms from 24 to 48 months, with options in between. Mileage packages range from 10K to 15K miles per year with the option to front load additional miles at signing. Additional fees will apply in the event you cannot commit to the length of the lease or exceed the mileage agreement. 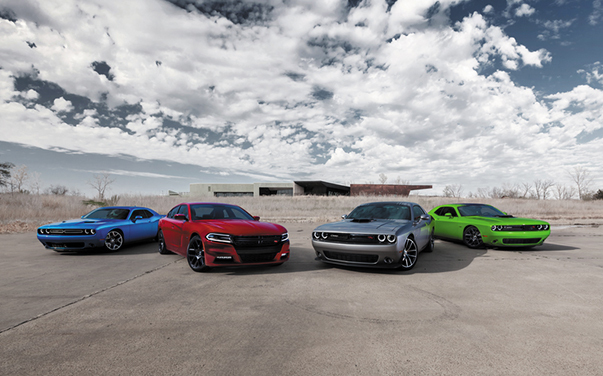 Lease a Dodge Challenger from Binghamton CJDR, and leave the pack on I-88 behind. This coupe brings the brawn to your daily commute in Binghamton, NY. The Dodge Charger puts some awesome in the family car, a four-door sedan with the heart of a rebel. Or make a statement with the Dodge Durango, a roomy three row crossover SUV with innovative technology and plenty of off-road attitude. Already dreaming of customizing your coupe, or of driving your SUV everywhere the spirit moves you? Consider buying your Dodge vehicle with car financing from Binghamton CJDR. Find out the trade-in value of your current car with our online appraisal tool, then apply using our secure auto finance form. The finance experts at our Binghamton, NY, dealership will take it from there, getting you the loan that makes the Dodge magic happen.